Solar Surveillance System - Wanco Inc. The Wanco Solar Surveillance System makes your community safer with quick deployment and remote monitoring and control. This system includes one or two cameras with onboard digital recording and many options to suit a wide variety of applications. 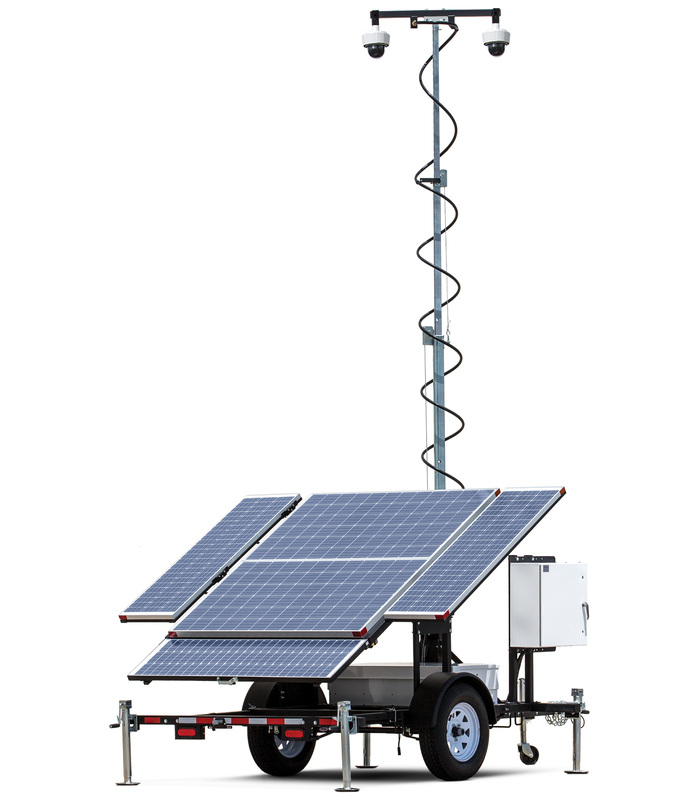 Wanco’s Solar Surveillance System includes all the technology you expect, integrated in a portable solar-based platform. This system includes full-featured PTZ cameras, a battery- and solar-based power system, an expandable electronics bay and more. The day/night cameras capture high-resolution video, which can be accessed locally or remotely. Video can be viewed in real time or recorded and stored with the onboard NVR. For increased adaptability, choose from a wide assortment of options. Power is provided by batteries, which are charged by the solar-based charging system. In a typical deployment with sufficient sunlight, the system can run continuously and independently year-round.